The Coalition Government is set to abandon plans to lower the current drink drive limit despite the recommendations of a formal review. That's according to the Daily Mail, which claims that the transport secretary, Philip Hammond, isn't convinced that cutting the limit from 80mg of alcohol per 100ml of blood to 50mg would save many lives. Road safety campaigners believe that a change to the law could save as many as 300 lives a year, but there is a concern that the lower limit would not deter the serious offenders who cause most fatal accidents. Ministers are also said to be worried about the effect on rural communities, where people would be criminalised for enjoying a drink at the local pub. The 50mg limit is likely to mean that consuming just one pint of beer would be enough to put motorists on the wrong side of the law. The formal review into drink-drive legislation was commissioned by the Labour Government, and conducted by Sir Peter North. Delivered in June, the report concluded that the UK limit should be cut to the lower level. Mr Hammond has delayed a decision on the matter until a study into the knock-on effect on country pubs can be completed. The report is not expected until November. 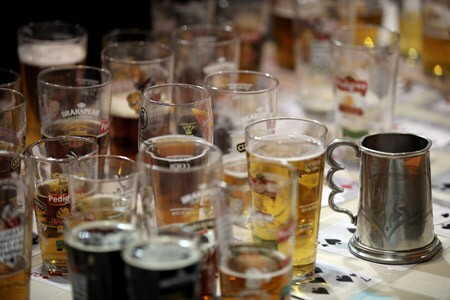 Prior to the elections to the Conservatives opposed a possible change to the drink-drive laws.